On selected days, the participating resorts are offering skiers and snowboarders special discounted lift tickets and the opportunity to support education. The proceeds from your lift ticket purchase go directly to the Excellence in Education Foundation, which provides enhanced educational opportunities for our local students. A limited supply of tickets are sold on a first-come, first-served basis and will not be available at the resorts the day(s) of the event. Save to your calendar the following discounted lift ticket dates. Plan a ski and snowboard trip with family and friends. Participating local area resorts annually offer skiers and snowboarders access to discounted lift tickets and the opportunity to support local education. One hundred percent of lift ticket proceeds benefit the Excellence in Education Foundation. $50 Lift tickets valid Sunday – Friday, all season, non-holiday. All tickets are purchased online at (http://exined.org/skiing-schools) and emailed immediately. $120 Lift tickets valid all season. No restrictions. Sold Out! Thank you. $40 lift tickets valid Sunday – Friday, all season, non-holiday. Tickets available online and at Tahoe Dave’s, Truckee location. $100 lift ticket valid from April 1, 2018 to end of season. Available for purchase online, but not valid until April 1. $20 trail pass valid Sunday – Friday, all season, non-holiday. Trail Passes at Alpenglow and Paco’s. A limited supply of tickets are sold on a first-come, first served basis and will not be available at the resorts. Tickets are not refundable. For more information, please call 530-550-7984. 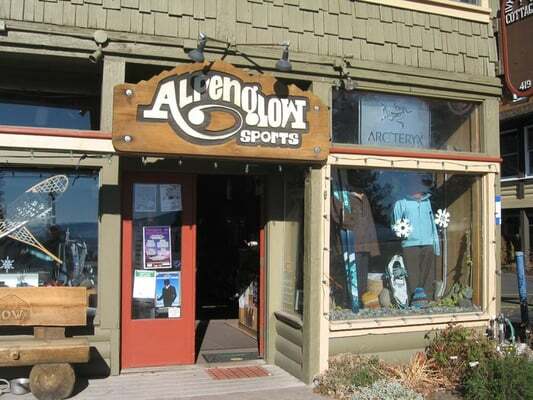 Nordic ski area tickets may be purchased at Paco’s in Truckee and Alpenglow, Tahoe City. For more information and updates, visit www.exined.org to see if tickets are sold out or dates/offerings have changed due to snow conditions. The Tahoe Truckee Excellence in Education Foundation is a private, nonprofit organization that enhances public education within the Tahoe Truckee Unified School District to strengthen the learning experience for students. Each year the Foundation raises money and provides grants, resources and partnerships to benefit students, teachers and the educational community as a whole. + Need gear, skis, snowboard or snow sports clothing? REI is having their REI’s Winter Clearance Sale. + Ski bus trip deals: check out the one day and overnight ski bus trip deals. Sleep on the bus, have a fun day of skiing and snowboarding and watch movies on the return bus ride.